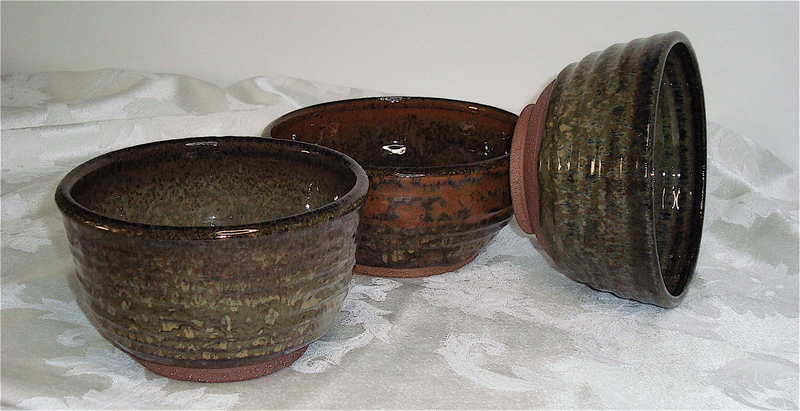 Artist: Stan Zielinski (Fairbanks Alaskan Potter) for the 3-set salad/soup bowls. Background: Salad courtesy of The McDougall Cookbook. 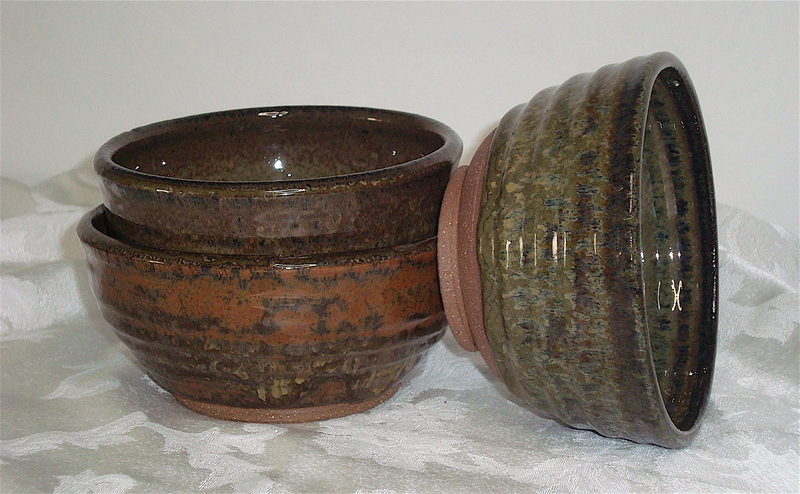 Hand-made pottery bowels courtesy of my parents, who gave them to us during a visit a while back. This is some really beautiful work! Artist: Mom (Fairbanks Alaskan Potter) for the little salad dressing cup. 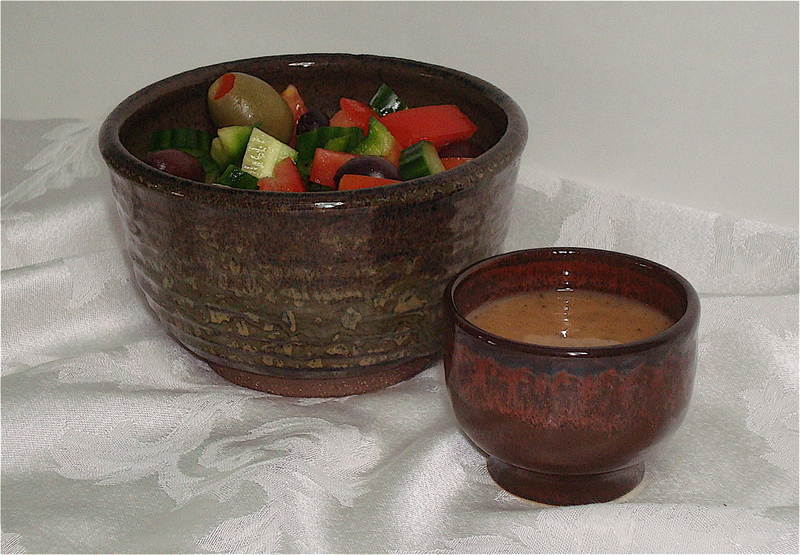 Background: Salad dressing courtesy of Bryanna Clark Grogan’s: The (Almost) No-Fat Cookbook. 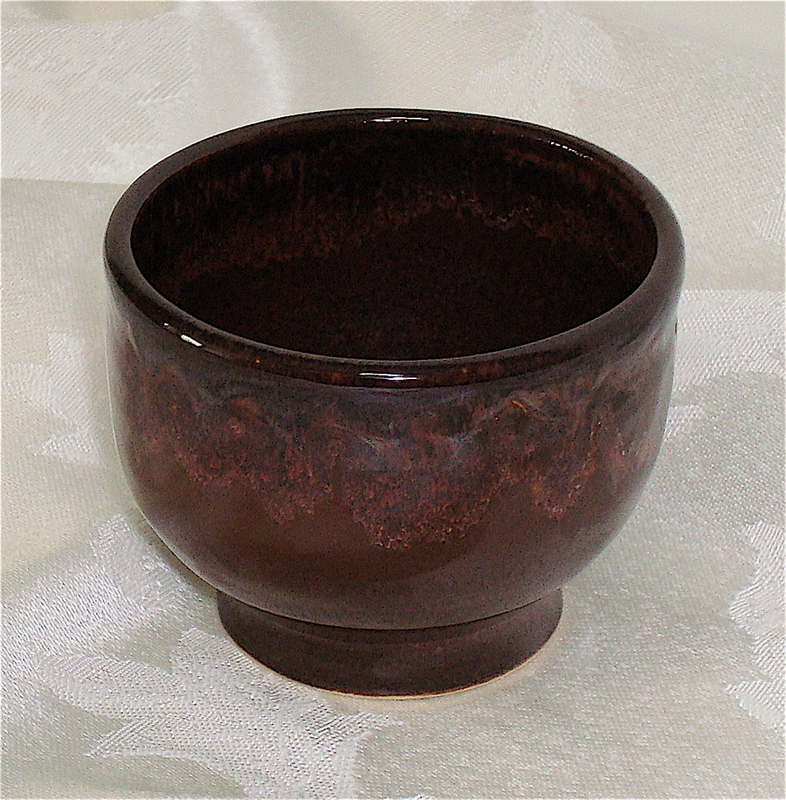 Hand-made pottery dressing cup courtesy of my parents, who gave it to us during a visit a while back. 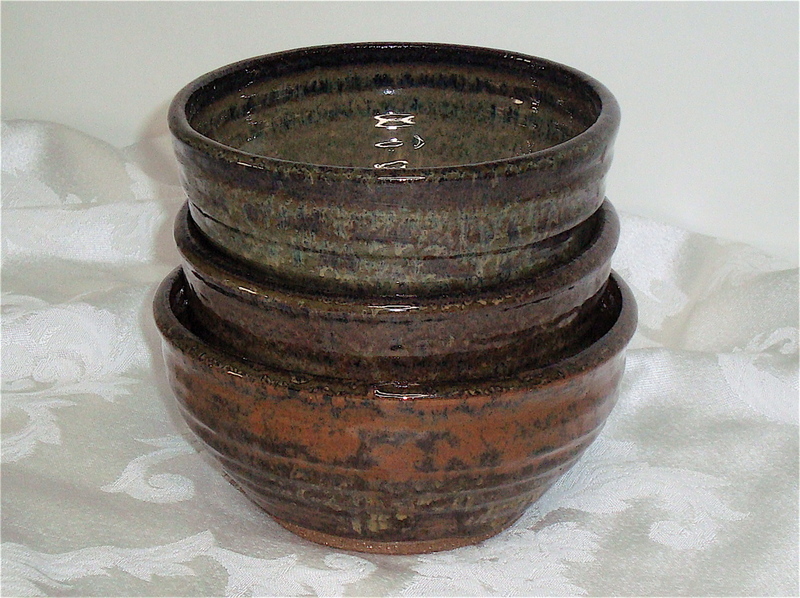 Again – what beautiful work!